Inspection saloon 975025 Caroline is propelled past Fritwell on 8 September 2010 by 37409 Lord Hinton, whilst working the 2Z01 09:26 Ealing Broadway to Ealing Broadway (via Birmingham) special. Already running ten minutes late, things were to get much worse later on, with the late running approaching two hours! Instead of coming back via the Cotswold Line, it was re-routed via Bristol Parkway. 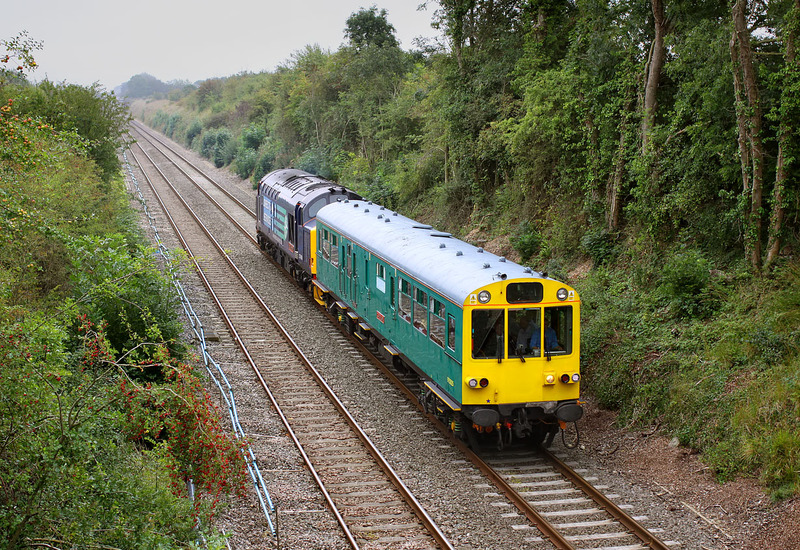 Although there would have been plenty of time to get a second picture after leaving my chosen Cotswold Line location near Charlbury, given the situation, and already having got this picture, I couldn't be bothered!